Our family and friends in the neighborhood always needed an extra hand looking after family pets. Trying to match people who would be a good match for our pets was very challenging and difficult. "Neighbor Bob loves dogs but his wife is allergic. Cousin Nancy is single but 2 days looking after Rambo is a lot to ask." Eventually finding a caretaker became a chore. Drew is a former Animal Humane Officer for the Society for Prevention of Cruelty to Animals in Los Angeles. He has seized animals from abused and neglected housing in Los Angeles County and is trained in emergency evacuation of horses, cats, dogs, reptiles, etc. Drew has served as PTA President for 3 years at his kids' school. 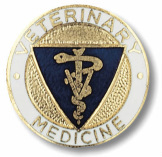 Sally earned her Doctor of Veterinary Medicine with Honors from Cornell Unviersity Ithaca in New York. She has been practicing as the Senior Veterinarian at a local 3-property animal hospital. Sally owns 2 cats, 1 dog & a leopard gecko. Rex is another neighborhood pet owner that had challenges finding animal care givers when he went for short trips. Rex is a dog enthusiast who spends hours at the park with his 2 rescue dogs: Sally and Harry. Rex handles the administrative office and conducts off-property activities: hikes & dog park visits. Chris is our Dog Behavior Specialist. Chris has been working with dogs since 1999. Chris was given the title of Animal Caretaker by Vinjon's Kennel in Chino in 2001 where he was certified to administer medication to dogs and learned how to bathe dogs. Since 2006, Chris Rod has been a student of dog psychology. In 2009, Chris worked at Cesar Millan's (The Dog Whisperer) original Dog Psychology Center in LA. Our credentials, experience, team was built on being the best animal sitting service in the United States. We guarantee you can't find a better team.